Knowing an iOS devices serial number is useful for a wide variety of reasons, from checking warranty status, determining if it’s eligible for a free repair from Apple, checking unlock status, checking for iCloud Activation Lock, insurance purposes, repairs, registering a phone for a variety of services, amongst other reasons. 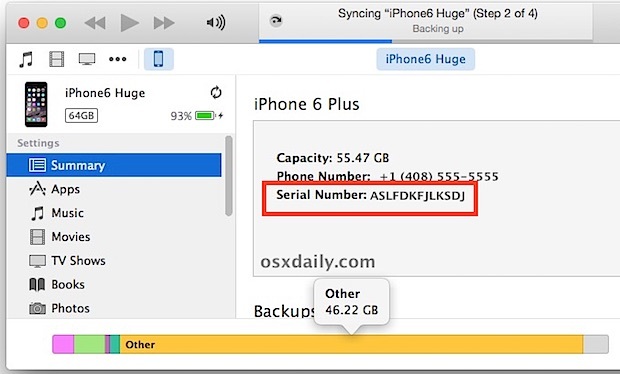 We’ll show you how to find the serial number on any iPhone, iPad, or iPod, quickly. There are two ways to quickly uncover the serial number of any iPhone, iPad, or iPod touch, one of which is done directly on the device itself through the iOS settings application, and another which can be accessed on any connected computer through iTunes. It doesn’t matter which method you use, if the device is the same, the serial number attached to it will be the same too. 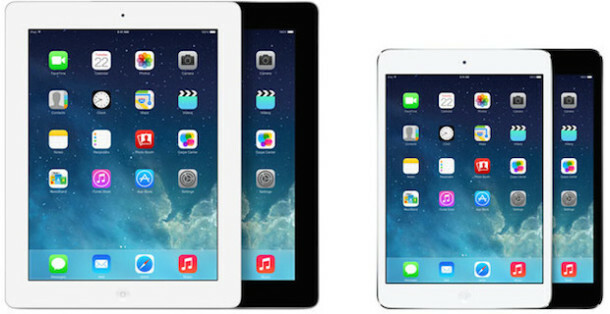 That applies to all versions of iOS and on any iPhone, iPad, or iPod touch model. If you’d rather find the serial number of an iOS device from a computer, you can do that too with iTunes. As you can see neither of these methods are particularly complex, though unlike finding a serial number of a Mac, you can’t have it spoken to you without enabling separate text to speech settings in iOS. It’s worth mentioning another method to find an iPhone serial number or iPad serial number: the box it came in. If you still have the original box that the device shipped in, the serial number will be printed on the outside of the box with the other defining specs of the hardware. This can be helpful in particular if you don’t have physical access to the device but you do have access to the box. Though the serial number may look totally random, serial numbers are assigned to devices in an orderly way, with details about the devices factory and machine ID, the week of production, the year it was manufactured, the color, and the storage size of the model. You can decipher this information about the device by reading the serial and knowing the format as it applies to the iPhone or iPad, though it does vary per model and per device. The serial number (and the EMEI) is in the sim card holder too. Any way to find out my serial number on a lost ipad? Darie, if you want the serial number of your iOS device I would suggest reading an article like this detailing how exactly to find the serial number of an iPhone, ipad, or iPod touch. It says in details exactly where to find the serial number. I would start by reading the article. 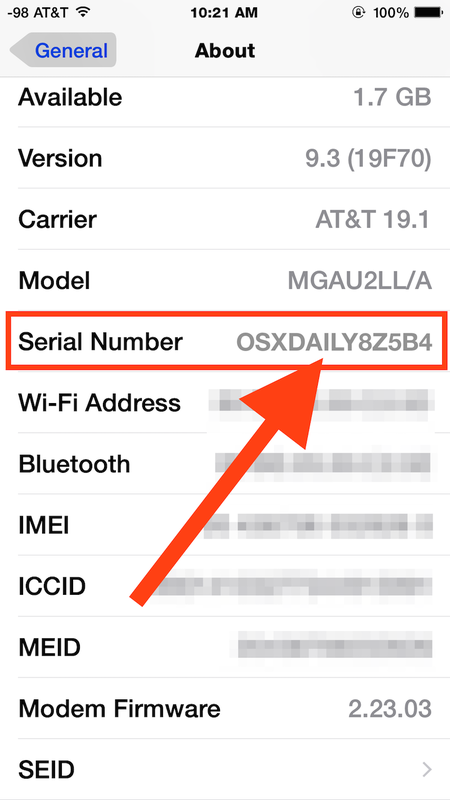 You can get the last 5 digits of the serial number without having the device in hand by going into the Apple Support app (or support.apple.com) and login with the AppleID associated with the device. My husband has been sent an iPhone as an upgrade when he looked at the phone he decided the screen was too small contacted the company and asked for a different phone. He was asked to send the iPhone back first which he did only to be told it could not be accepted because it had been repaired the inference being that he had done it ! It has been returned to us . We wondered if it might have been a reconditioned phone sent by mistake but as we are in the middle of a complaints procedure we don’t think we should even turn it on! Can we find out it’s hustiry without turning it on ?